In preparation for the fall running season, I have been doing a lot of track and hill drills to build speed and endurance. When I plan my workouts I keep one simple rule in mind: hard training leads to easy races. I train very hard, I constantly demand more of myself so when I get to race day I know that I can do anything! 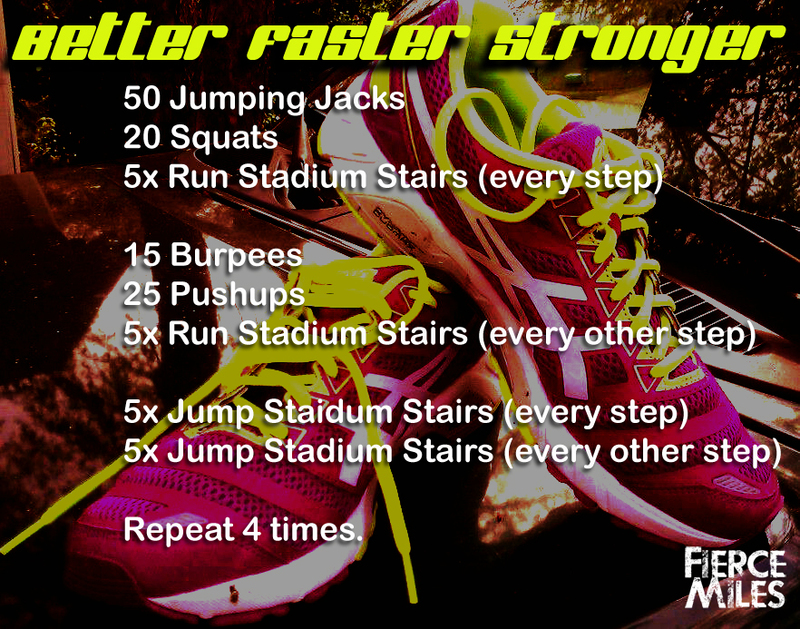 Below is one of my track workouts that I find to be very effective in building mental and physical endurance. Give it a shot and let me know what you think. I would recommend that you take breaks as needed and make sure that your heart rate doesn’t drop too much during your rest periods. Always remember to hydrate properly before and after exercise. This particular workout can take a lot out of you especially if you push through it without breaks. Good luck, have fun, and be safe! Posted on August 28, 2013, in exercise, fitness, gym, hard workout, hard workouts, loose weight, mental fitness, mental strength, run, runners, running, train your brain and tagged burn calories fast, cardio endurance, drills, endurance workouts, get faster, get lean, get toned, hard workouts, speed work, Stadium workouts. Bookmark the permalink. Leave a comment.